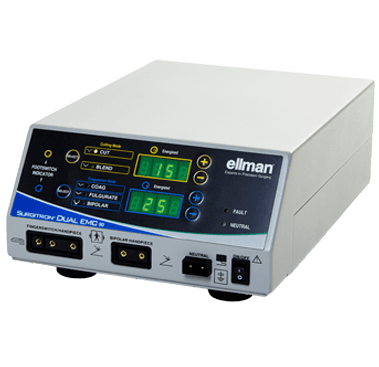 The Ellman high frequency surgical technology is the ideal complement to Cynosure’s first-in-class aesthetic laser platforms. Our 4.0 MHz CutSure technology produces minimal heat and superior healing results. It is the technology of choice for every practice. For advanced office and hospital based surgical procedures, our patented Surgitron Dual RF unit provides the unparalleled surgical control, precision, and safety you need. Delivering unparalleled surgical control, precision, versatility and safety, our patented Surgitron Dual EMC 90 unit offers the advanced RF technology you’ve been looking for. Our patented Surgitron Dual EMC 90 generator is ideal for physicians wanting to perform advanced office based surgical procedures. With its high frequency of 4.0 MHz to minimize heat dissipation and thus cellular alteration, you can safely and confidently perform in office procedures. 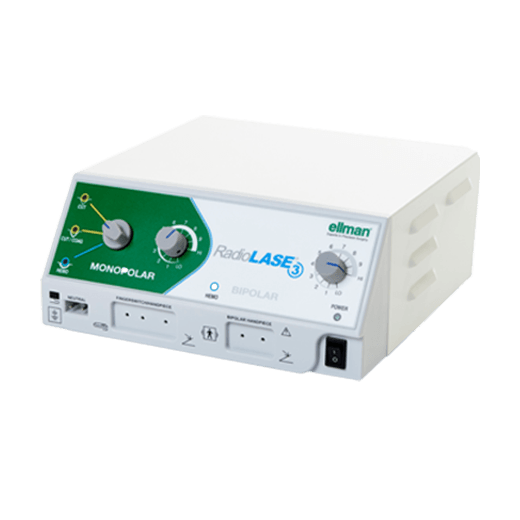 An economical and cost-effective system to maximize your dental practice using High Frequency-Low Temperature 4.0 MHz Monopolar and Bipolar technology. Enjoy precision while minimizing cellular destruction along the incision path with our innovative Radiosurgery technology. Radiolase operates at 3.8 MHz, enabling the precise incision you want with significantly less heat and resultant thermal damage than typically found with conventional electrosurgery. ©2019. Hologic, Inc. All rights reserved. Cynosure is a registered trademark of Cynosure, LLC. 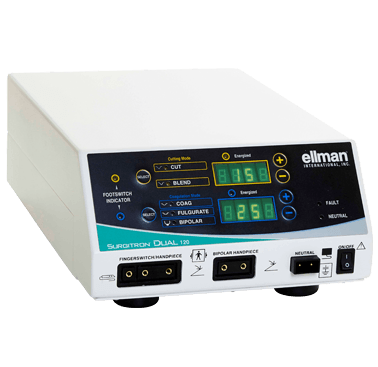 Ellman, Radiolase and Surgitron are registered trademarks of Cynosure, LLC. Hologic, Inc. owns exclusive rights to photography. Use of photography without written permission of Hologic is prohibited. Model used for illustrative purposes and not an actual consumer of the product.